Dear Arts students, here is an illustrated guide to the Hagey Hall Hub and how you can get the most from this space dedicated first and foremost to student use. The University of Waterloo is the top “comprehensive” institution for Social Sciences and Humanities Research Council (SSHRC) grants once again, according to the latest Maclean’s rankings, after a single year in second place. 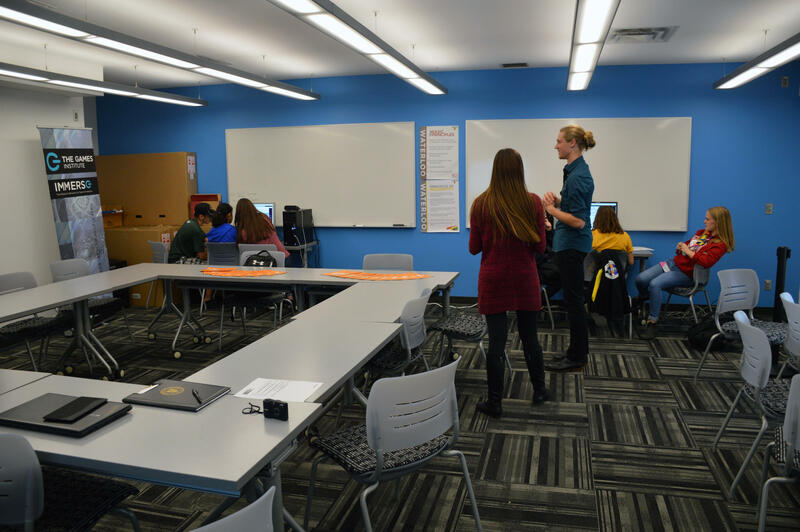 Graduate students in the Department of English hosted visiting high school students at the Games Institute in a workshop entitled ’60 Minutes to Save the World’ as a part of the Canadian Student Leadership Conference (CSLC), held in Waterloo last week. This academic year sees the launch of an exciting new opportunity for UWaterloo undergraduate students. Global Engagement is a capstone seminar for outstanding senior undergraduate students who would like the opportunity to use their education and abilities to address questions of pressing global concern.